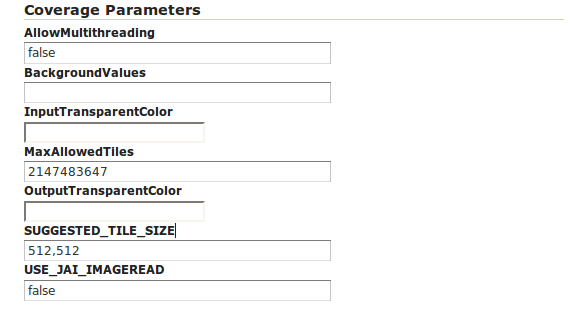 GeoServer can efficiently deal with large TIFF with overviews, as long as the TIFF is below the 2GB size limit. Once the image size goes beyond such limit it’s time to start considering an image pyramid instead. An image pyramid builds multiple mosaics of images, each one at a different zoom level, making it so that each tile is stored in a separate file. This comes with a composition overhead to bring back the tiles into a single image, but can speed up image handling as each overview is tiled, and thus a sub-set of it can be accessed efficiently (as opposed to a single GeoTIFF, where the base level can be tiled, but the overviews never are). 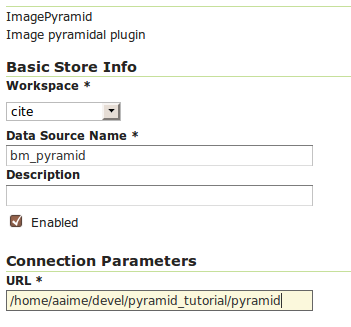 This tutorial shows how to build an image pyramid with open source utilities and how to load it into GeoServer. The tutorial assumes you’re running at least GeoServer 2.0.2. 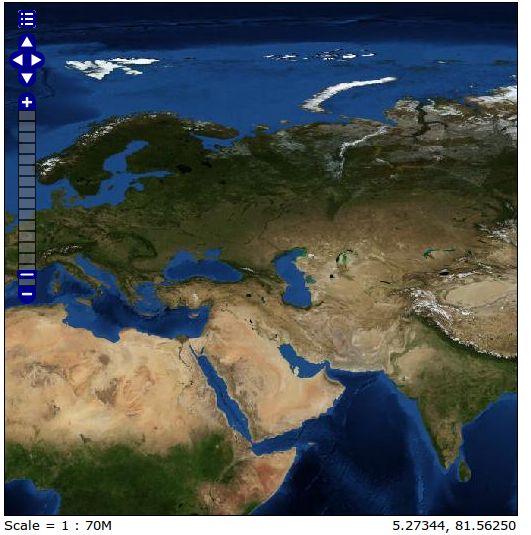 For this tutorial we have prepared a sample BlueMarble TNG subset in GeoTIFF form. The image is tiled and JPEG compressed, without overviews. Not exactly what you’d want to use for high performance data serving, but good for redistribution and as a starting point to build a pyramid. In order to build the pyramid we’ll use the gdal_retile.py utility, part of the GDAL command line utilities and available for various operating systems (if you’re using Microsoft Windows look for FWTools). This will produce a number of TIFF files in bmpyramid along with the sub-directories 1 , 2, 3 , and 4 .